You’ve probably seen or heard about the interior effects from the latest Spider-Man. It turns out you can actually recreate the same effect in Unity using built-in components. Let’s check out a tutorial by Anthelme Dumont to learn how we can do it. First, it is worth noting the artist is using Unity 2018.1 in this case but you can use any version from 5.x to 2018.x. Before you start, make sure the Reflection Probes Box Projection option is enabled in the project settings. Not enabled? Go to Edit / Project Settings / Graphics, uncheck the Use defaults option and check the Reflection Probes Box Projection on all the tiers. 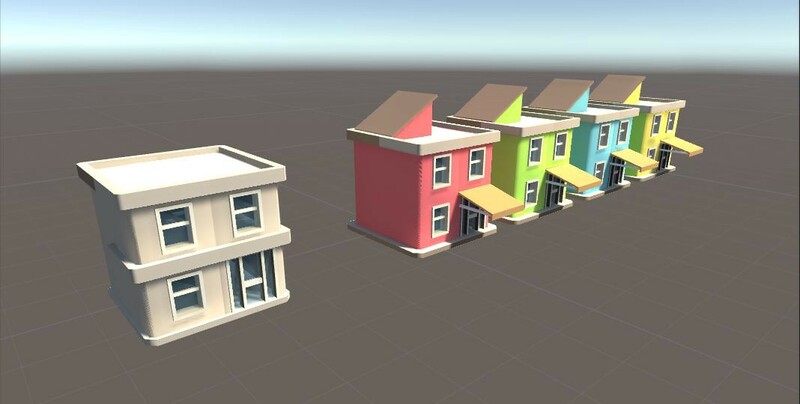 You’re now ready to start, and you can use 3D models made with Asset Forge, for example, one for the interior and one for the exterior with a few color variations. You can get the project files and assets by using this link. Interested in studying the full guide? You can find it here. There’s a free asset by Amplify on the asset store for that. Reflection probes aren’t that good in SRP performance-wise (when I’ve tried to port my game to LWRP from legacy pipeline it caused massive FPS hit, biggest in scenes with reflection probes used). It’s all started from here.